FUEL EFFICIENT 34 MPG Hwy/22 MPG City! SE trim. Heated Leather Seats, iPod/MP3 Input, Satellite Radio, CD Player, Bluetooth, TRANSMISSION: 6 SPEED AUTOMATIC W/SEL... EQUIPMENT GROUP 202A, CHARCOAL BLACK, HEATED LEATHER FRONT.. Alloy Wheels, CHARCOAL BLACK, HEATED LEATHER FRONT BUCKET SEATS. AND MORE! Ford SE with Ingot Silver Metallic exterior and Charcoal Black interior features a 4 Cylinder Engine with 175 HP at 6000 RPM*. Satellite Radio, iPod/MP3 Input, Bluetooth, CD Player, Aluminum Wheels MP3 Player, Keyless Entry, Child Safety Locks, Steering Wheel Controls, Heated Mirrors. Since opening our doors in 1981, The Sisbarro dealerships have sold more than 90,000 vehicles to buyers from eastern Arizona to west Texas and everywhere in between. Our first dealership, Sisbarro Buick/GMC, is proud to be the oldest locally owned dealership in Las Cruces. Ask about the many benefits associated with a Sisbarro Best Test Certified Pre-Owned vehicle today. We look forward to exceeding your expectations. Pricing analysis performed on 8/22/2018. Horsepower calculations based on trim engine configuration. Fuel economy calculations based on original manufacturer data for trim engine configuration. Please confirm the accuracy of the included equipment by calling us prior to purchase. 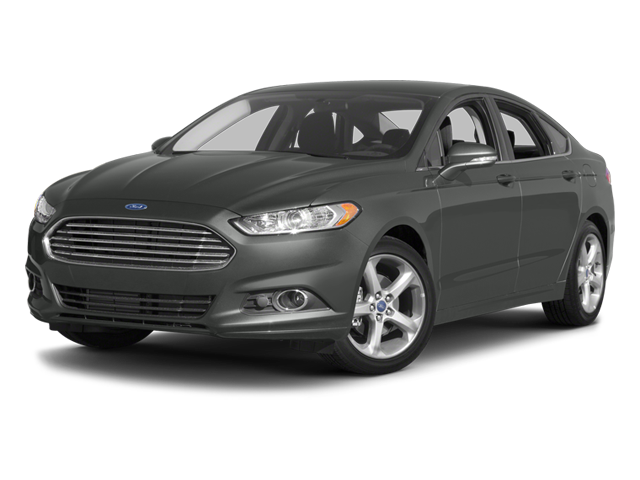 Hello, I would like more information about the 2014 Ford Fusion, stock# P16525. Hello, I would like to see more pictures of the 2014 Ford Fusion, stock# P16525.